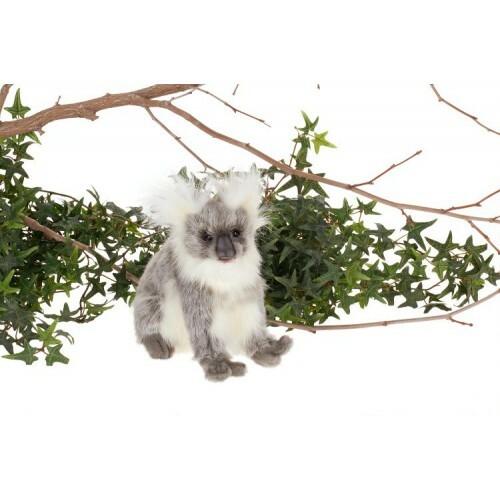 Koalas live in the tops of eucalyptus trees in eastern Australia and rarely leave these trees. They have a thick and wooly grey and white coat. 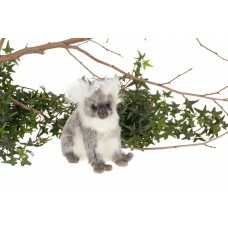 They feed mainly on eucalyptus leaves, and they can eat up to 2.5 lbs of leaves a day. They are marsupials (pouched mammals) and give birth to 1 young which then crawls into the mother's pouch for 6 months after birth. They can sleep up to 18 hours a day and do not drink much water.